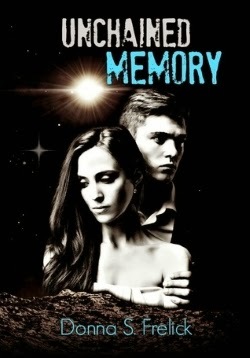 Experience the fun of discovering a new-to-you author by entering for a chance to win a digital copy of Donna S. Frelick's UNCHAINED MEMORY! Three winners will be picked at random. The deadline to enter is Tuesday, March 3, 2015. Check back here to see if you've won! Entering is easy: simply leave a comment for this post. I'm also curious about what you think of alien abduction since it's often explored in sci-fi romance. Do you think it's a real phenomenon? Why or why not?